Elon Musk, billionaire industrialist and probable believer in aliens, spends a lot of time working. His business empire is vast, running the gamut from reusable rockets to flamethrowers to self-driving cars. Due to his lofty ambitions and painfully awkward demeanor, Musk has acquired many fans. However, some of these fans think a man of Musk's wealthy stature should have help acquiring furniture. There's a GoFundMe campaign currently making the rounds that aims to accomplish this very end. Namely, it's raising money to buy Elon Musk a new couch, and uh, it's working, having surpassed it's $1,000 goal in one day, with 261 contributors donating $3,559 as of Tuesday afternoon. This, again, is all feeding the very noble cause of buying a couch for a man whose net worth climbs into the tens of billions. 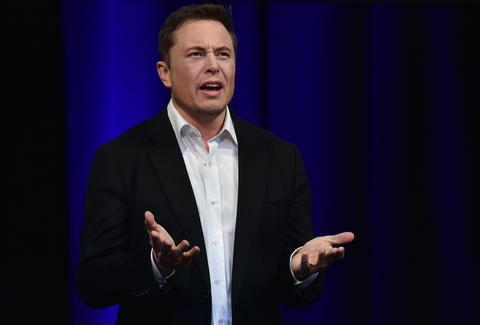 Musk is no Jeff Bezos, but then again, he could probably purchase Ikea and Crate & Barrel outright, instead of shopping for household wares like someone with lesser pockets. The initiative all stems from Musk's reported tendency to sleep at his Tesla factory in Fremont, California as the electric vehicle maker ramps up production on its Model 3 sedan. His couch, depending upon your preference for office sleeping quarters, seems uncomfortable. When CBS aired an interview with Musk showing his drab sleeping situation, Musk-super fan Ben Sullins presumably had seen enough, and started the GoFundMe. The campaign gives the impression that a grave injustice has befallen the billionaire. Only through crowdsourcing, it seems, can this wrongdoing be righted. "Elon Musk is transforming our world to run on sustainable energy and use sustainable forms of transportation," Sullins writes. "Lately, he's been sleeping at the Fremont factory in an effort to improve Model 3 production." Sullins plans to get Musk's attention on Twitter and gauge his interest in a $3,500 couch. If the CEO doesn't respond, Sullins says he'll donate the money to charity. While this is a nice gesture for Musk, we're guessing the Tesla chief has much bigger concerns keeping him up at night.